InspirOn Engineering Services division was founded in 2008 initially to cater the need of our existing customers of Aluminium Die Casting division. Initially started with a team of two people, today Engineering Services division has grown to 50 Engineers providing solutions to various clients in European and US regions for different Industries. Majority of our engineers have onsite experience in Europe and/or USA. Apart from onsite, we also provide Engineering solutions from offshore office located in India. InspirOn Engineering Services has deep domain expertise in various Food Processing Equipment design such as Meat and Poultry Processing Equipment, Fish Processing, Bakery Processing and Egg Processing. Due to the uniqueness of set up in a manufacturing plant, engineers from Engineering Services division have a very good exposure to machine building, manufacturing and Foundry technology. We lead the Engineering Solutions Industry by helping our customers develop best quality innovative products with optimum time to market. We add value to product development for our customers by providing best quality engineering solutions with optimum delivery schedule. We learn from each experience and manage the knowledge. We share this knowledge within our organization and also to the customer through proactive knowledge sharing sessions. We sustain our culture of continuous improvement and excel in each domain and service day by day. 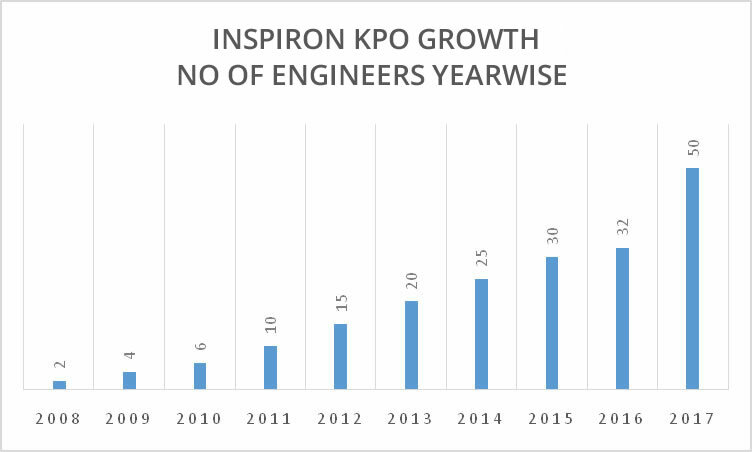 InspirOn Engineering is promoted by an industry stalwart in Prakash Bhagwati as Chairman and Amol Bhagwati as the Managing Director. Prakash Bhagwati has a MS in Mechanical Engineering from Wichita State University in the USA, and holds advisory and management positions in industry associations due to his vision and foresight in the engineering industry. Amol Bhagawati has an MBA in Finance from the Nirma Institute of Management and is well versed in implementation of new management tools such as the Balanced Scorecard as well as financial and marketing activities. Inspired by Mahatma Gandhi’s principle of trusteeship, InspirOn Engineering is committed to give back to society by contributing a portion of operational profit for village development and healthcare activities. InspirOn supports two charitable trusts and its endeavours as part of its CSR commitment. The Trust has adopted two villages in Timba and Navapura in Gujarat, and supports development programmes in the fields of education, healthcare, and social upliftment with active participation of local villagers. The Trust manages a 50 bed hospital at Dholka in Gujarat, and provides medical care in the fields of gynaecology, skin and paediatrics, with an in-house pathological laboratory for diagnostics.